Starting October 5th and until October 28th play in the NEW Wicked Bingo Weekend Tournament with $250,000 CASH up for GRABS and OVER $15,000 in GUARANTEED CASH to be won! Prepare your witches brew and come join Amigo to play every Friday, Saturday & Sunday at the witching hour of 10pm (EST) throughout October. DEPOSIT AND REGISTER with only $25 cash to unlock the room for each nightly event, grab your broom and join the race to win HUGE JACKPOTS. The fee covers the automatic pre-bought cards for all games, including a $10,000 Coverall, a $5,000 Coverall, and a $1,000 Coverall. This is followed by $100-$500 multipart GUARANTEED GAMES (Fair and Square/12 cards per game). As if that wasn’t enough, bingo on the Flying Monkeys, Broom and Witch Hat patterns on a single tournament to WIN A FREE SEAT for the next weekend. 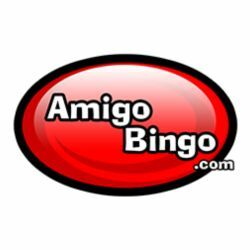 (Submit game ids via Amigo Bingo support ticket).